Structural drafting India is a leading provider of column cover and cornices detailing services at affordable rates. Column covers are typically attached to a sub-framing system consisting of steel studs and clip angles attached to the structural column structure. They can also be attached directly to structural steel columns and concrete columns. Our strength is in providing sustainability design advice to drive development projects toward holistic, integrated and sustainable design solutions. We focus on creativity and value adding. Our clients are among the leading property professionals throughout the world and have been rewarded by improved marketability, resource efficiency and cost feasibility. 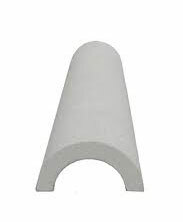 Standard column covers are available in Round, Square, Ellipse and Race-track shapes. Contact us or send email:info@structuraldraftingindia.com to outsource all your precast detailing and drawings services requirements.